Some of the most important formulas for vectors such as the magnitude, the direction, the unit vector, addition, subtraction, scalar multiplication and cross product are presented. A unit vector is a vector whose magnitude is equal to 1. 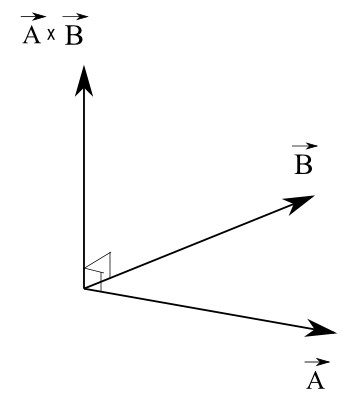 In 3-D, the direction of a vector is defined by 3 angles α , β and γ (see Fig 1. below) called direction cosines. Fig1. - Direction cosine of a vector. Fig1. 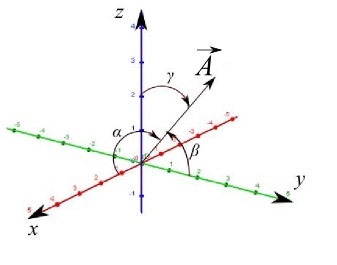 - Angle of a 2-D vector. 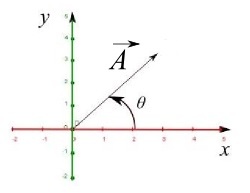 taking into account the signs of Ax and Ay to determine the quadrant where the vector is located. More on Adding and Subtracting vectors. The cross product is a vector and there may a need as in eletromagnetism and many other topics in physics to find the orientation of this vector. 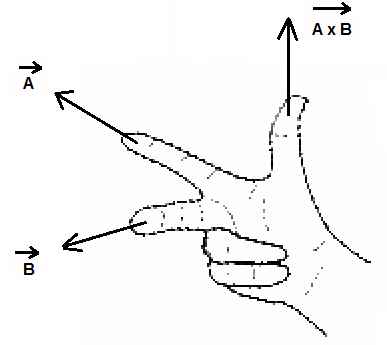 Use the right hand rule to find the orientation of the cross product: point the index in the direction of vector A, the middle finger in the direction of vector B and the direction of the cross product A × B is in the same direction of the thumb.